A Fife nurse has been recognised as a national leader for her influential role in encouraging healthcare providers to release employees to act as reservists in the Armed Forces. 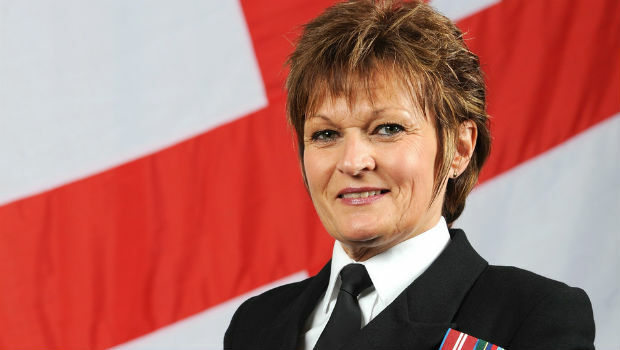 Commander Pauline Small, who is Associate Nurse Director at NHS Fife as well as being the dedicated Armed Forces Chaplain, has been named on the first ever list of leaders, published by the Nursing Times magazine. The list celebrates influential role models who have used their exceptional leadership skills to shape and enhance the nursing profession. A panel of ten judges assessed more than 200 nursing and midwifery professionals from across the UK, considering factors such as influence, activity and legacy.